Well shortly after I wrote the post about him not having any teeth, they finally popped through! We had a bad day and night, but they finally broke about a week ago and he is back to his happy self. You still cant really see them, but I assure you they are there – and they are sharp little suckers! He likes to bite our noses and thinks the word ‘Ouch’ is hilarious. 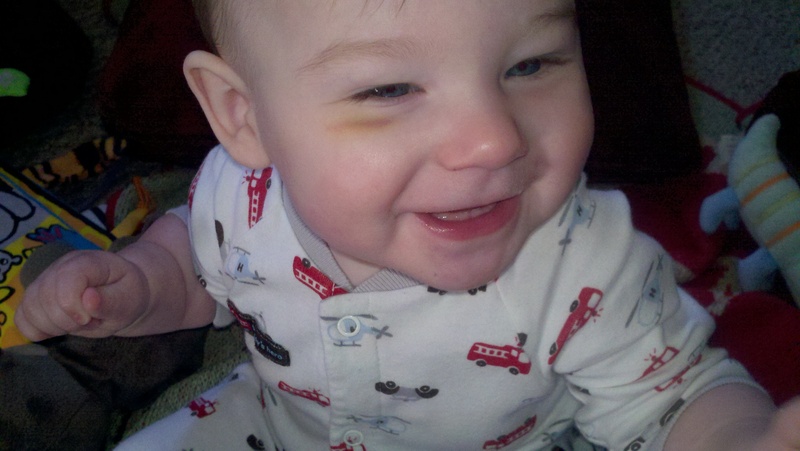 He had another first this past week, too – his first black eye. 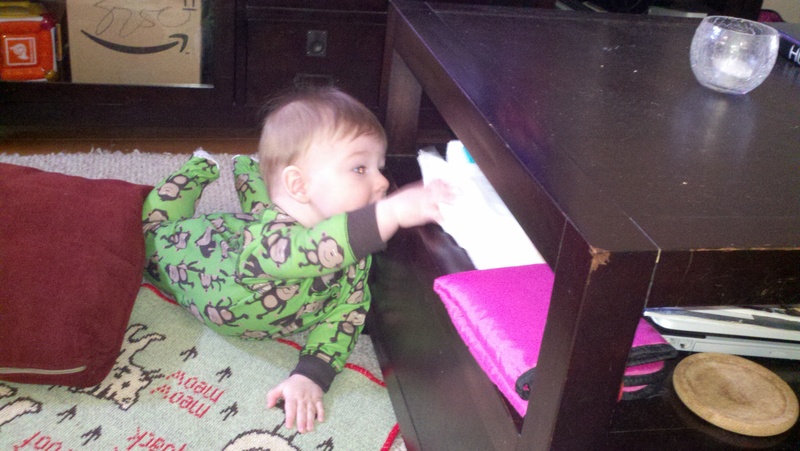 Hes starting to pull up and reach for things, and he was doing this when he lost his hold and bonked his head on the coffee table. There were tears but nothing barney couldnt cure. Barney is, by far, Wilek’s favorite toy these days. 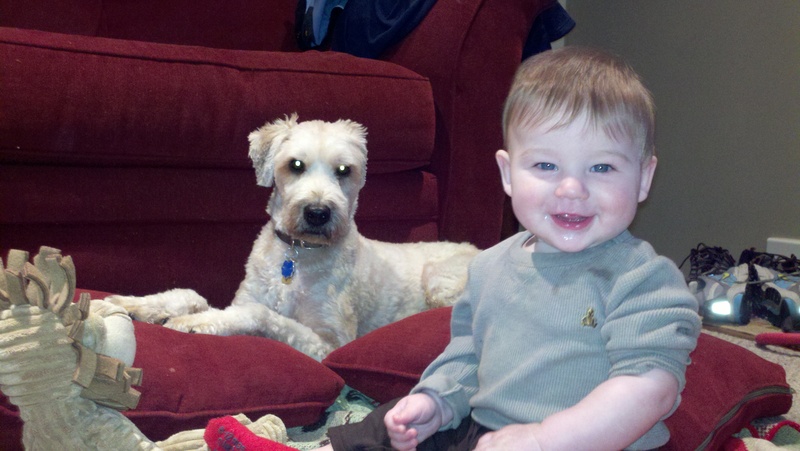 Whenever we need a smile, we just head over to play with Barney. 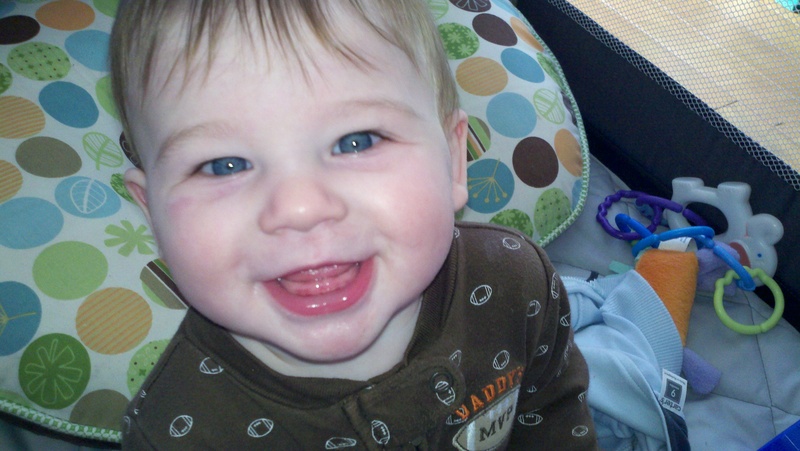 Or I break out the camera – he is such a ham for the camera! Im very lucky to have such a happy boy. 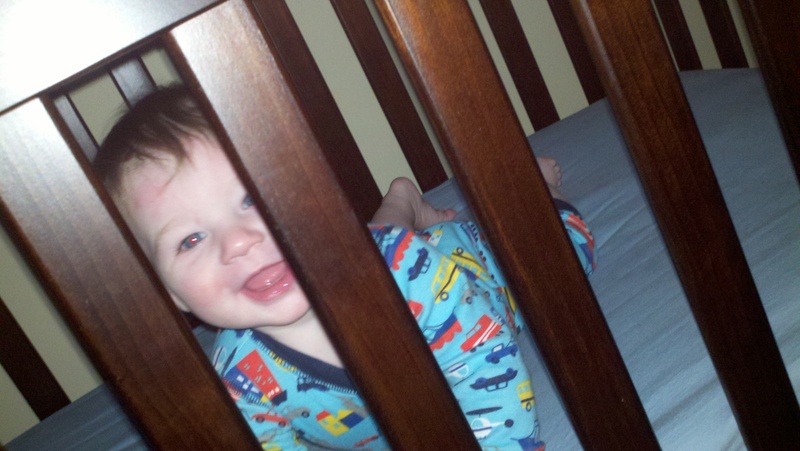 He also loooves his crib. 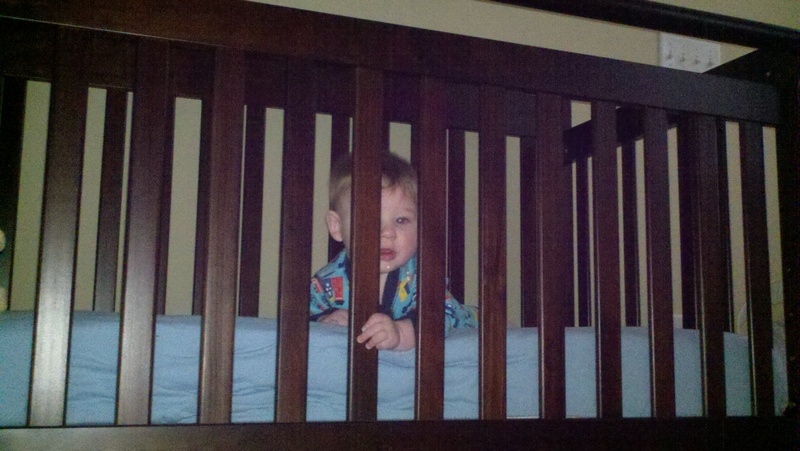 Its actually hard to get him to nap in it during the day because he just likes playing in it. The other day he fell asleep on my chest, so I walked him upstairs and laid him down in the crib asleep. Soon after I went back upstairs to check on him and he was just sitting up and looking around. I have no idea how long he actually slept. 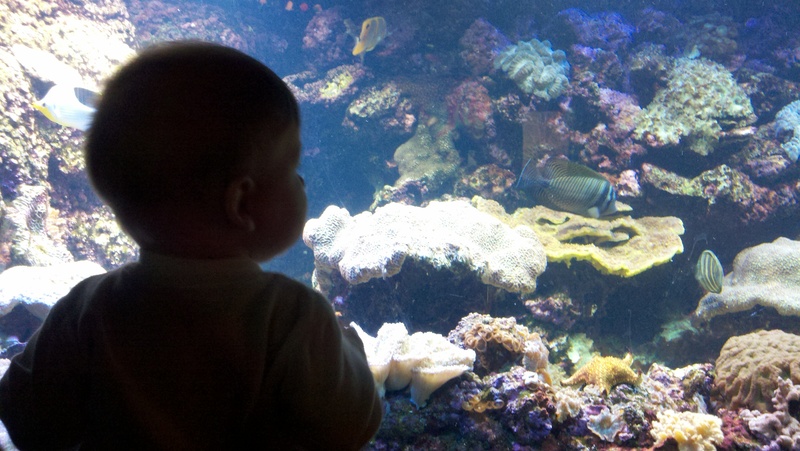 He didnt make a peep when we woke up – just sat up and starting playing I guess! Most days we hang out at home rotating toys, singing songs, looking out the window and playing the piano. Hes pretty happy doing most anything. We usually change activities when I get bored. And when I get super bored?! 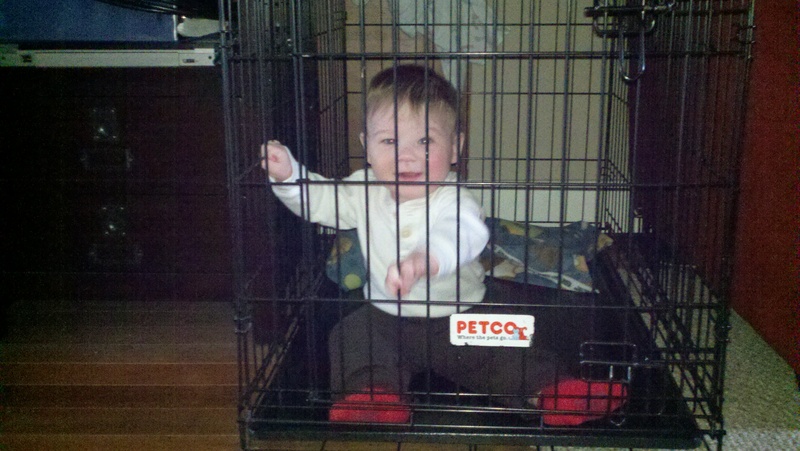 I do things like put him in barneys cage and takes pictures. Mom of the Year? I think so. 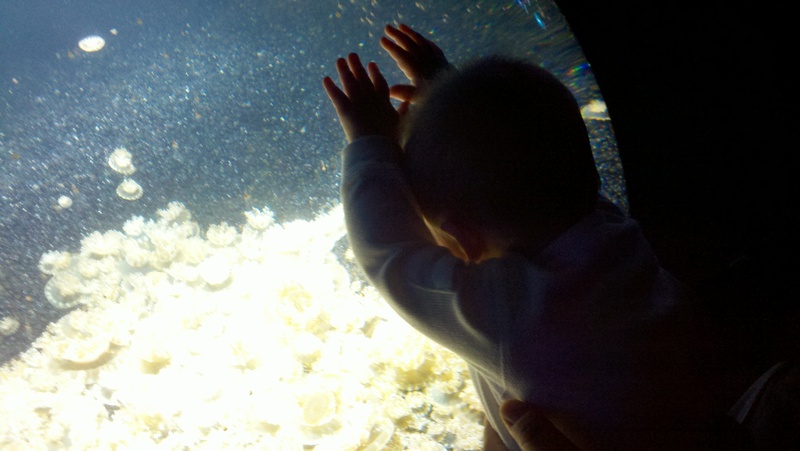 We hung out at the aquarium the other day. Wil was finally really into it. Well…for like 10 seconds at a time. 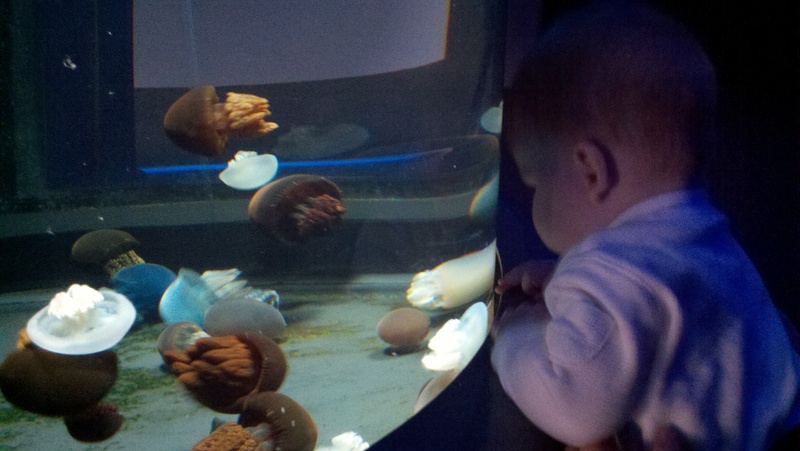 Especially the jelly fish. Can you see ’em?!?! If you click on the picture to enlarge…and zoom-in..maybe you can kinda see them? No? Ok. Ill take some more once they are really showing. Happy last day of January everyone. Bring on February! I hate it when I get so behind. and I know I dont have enough time to update everyone on everything that has happened since the last post, so I put it off, then woznation is hanging over my shoulder and it feels like a chore. and then more things happen and then i really dont have the time and it just compounds like that. So im biting the bullet and writing a quick, sub-par post to ‘catch-up’ and will try to do better moving forward in 2012. 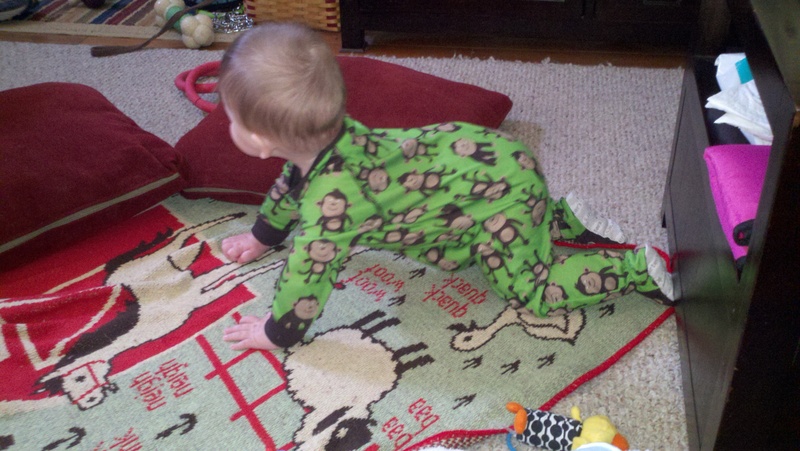 Here are the highlights – Wil is up on all fours, but still not crawling. He has red little gums, but no teeth. But hes sitting straight up for long periods of time and sleeping through the night! (FINNNNNAAAAAAAALLLLLLLLLLLLLLY). At his 6th month visit he was in the 95th percentile for height, 75th percentile for weight and 50th percentile for head size. (which is the opposite of when we was born?) And Phil and I are not tall people. So we’re pretty sure he’ll plateau around kindergarten.